Sunday July 14, Haven Gastropub in Pasadena, CA hosted the LA Beer Bloggers Summit #6. This was my second visit to one of these gatherings and I really enjoyed the opportunity to meet more of the people that are behind the scenes in promoting the craft beer scene in Southern California, and specifically Los Angeles and Orange counties. 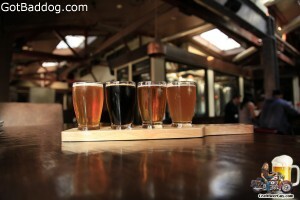 This was my third or fourth visit to Haven Gastropub, but my first couple of visits they were not really brewing yet. When I was there back in May they were just releasing their first batch of Simcoded American Pale Ale. Things have really changed in the last two months. As our host for the event, Managing Partner and Beverage Director Wil Dee spoke for a while on the growth and mindset of the new Haven Collective, which includes their various restaurant locations and the brewery. He also discussed their future plans and how they chose their new Head Brewer, Brian Thorson. He then turned the floor over to Brian who proceeded to discuss the various beers he is currently brewing. When I was there in May they released the Simcoded Pale Ale; by yesterday they had added More Please, a Kölsch; Jimmy Hafen, their Hefeweizen; Orange Face (O Face), an American Amber / Red Ale; Performance Enhancing Drink (P.E.D. ), an American Brown Ale; Disco Pants, a Black Lager and Double Hubble, a Double IPA. They also provided us a sample of their next IPA, Hop Sing. You can tell things are really picking up at Haven with the addition of Brian Thorson. Wednesday was day three of the 8th Annual American Craft Beer Week (ACBW), and I continued my quest to visit as many Great American Beer Festival (GABF) gold medal winners from Southern California as possible. 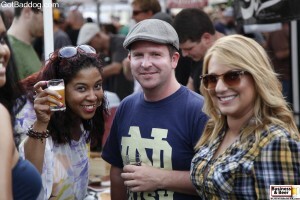 For day three we drove out to Pasadena to visit the Stone Brewing Company Store that opened the middle of last year. I have visited the location a couple times and I will admit that if I had an office job that required I commute, there would be nothing better that I can think of than to have something like the Stone Brewing store waiting for me at the end of my work day. 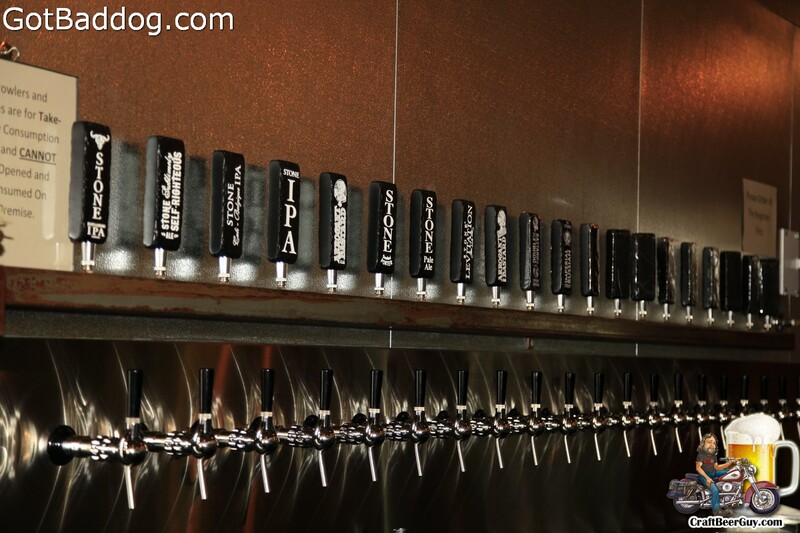 Besides beers on tap, they offer growlers and bottles and extremely good prices. It is worth the trip. Rated as one of the best brewers in the US and the world by two of the largest beer enthusiast websites, RateBeer and BeerAdvocate, I would be remiss if I did not include Stone Brewing in my quest for GABF award winning breweries from California. While I went to Pasadena yesterday, if you have an opportunity to visit their brewery in Escondido you should do it. Good food and great beer in a very scenic setting. It is appropriate for the entire family. For my award winning flight I opted for a Stone Ruination IPA, a Stone Levitation Ale (2007 GABF Gold Medal), a Stone Sublimely Self Righteous Ale (2010 GABF Bronze Medal) and a Smoked Porter (2010 Asia Beer Award Gold Medal). 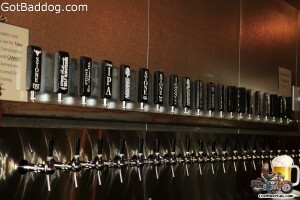 After sampling at Stone for a while, we went around the corner to Haven Gastropub and Brewing. I have been there before, but as I recall they were just starting to brew on location. I had forgotten about that, but knew I could find some award winning beers on their guest tap list. As it turns out, Gastropub Brewing has a new Head Brewer, Brian Thorson, an award winning brewer formerly with Drake’s Brewing and yesterday they released his new brew, so I included it on my flight. My flight consisted of Haven Simcoded American Pale Ale, Firestone Walker Velvet Merkin (2010 & 2011 GABF Gold medal), Eel River Acai Wheat, and The Bruery White Oak. While the beers from Haven, Eel River and The Bruery were not medal winners, the breweries and brewers have won numerous awards. 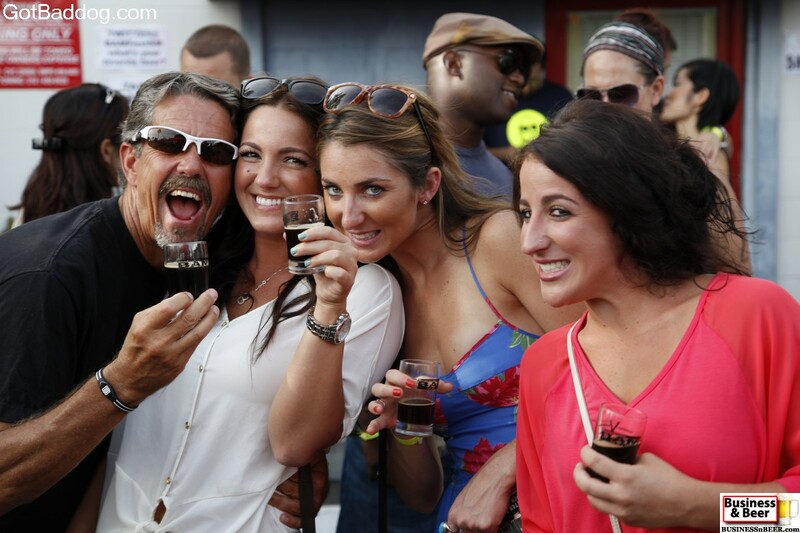 All my photos from day three of the 2013 American Craft Beer Week can be found on GotBaddog.com.